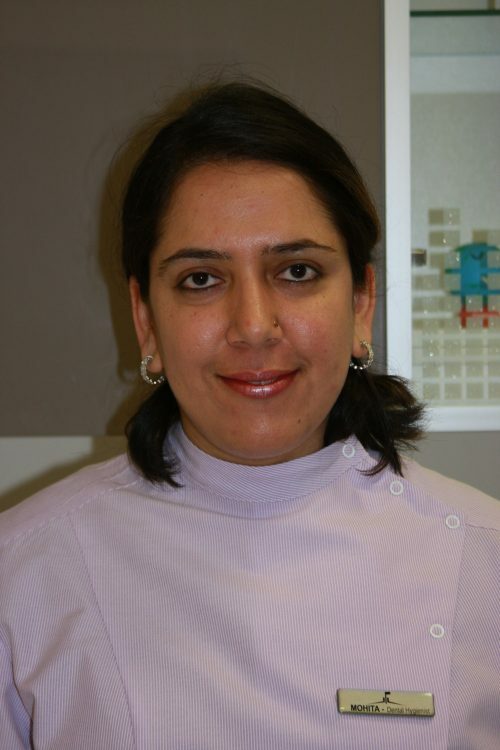 Mohita completed a Bachelors of Dental Science in India in 2007. She moved to Australia and completed her Advanced Diploma in Dental Hygiene in Adelaide in 2010. Mohita’s foremost reason for pursuing dental hygiene, rather than being a dentist, was finding a perfect balance between work and family. She has all the zeal towards being a helpful professional in the dental field and is committed to her patients. Mohita is passionate about dental hygiene and sees prevention is the best cure. Being a dental hygienist allows her to help her patients avoid any dental treatment by having good oral health. “Even if I can educate my patients how important it is to brush their teeth before going to bed my job is half done.” Mohita sees her role as educational and helps patients to be proactive about what goes in their mouth rather than telling them what needs to be removed or salvaged. When she isn’t at work Monita spends time with her family, travels and enjoys trying new cuisines. She is also fluent in Hindi and Punjabi.